Magic is real as long as you believe in it! 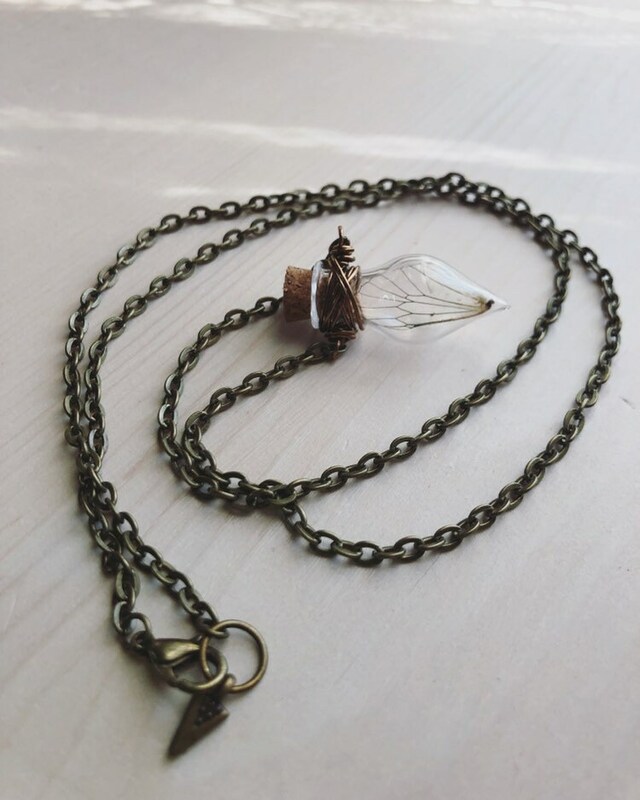 This bottled gem holds a magical fairy wing inside from a fairy who shed her baby wings for bigger ones. 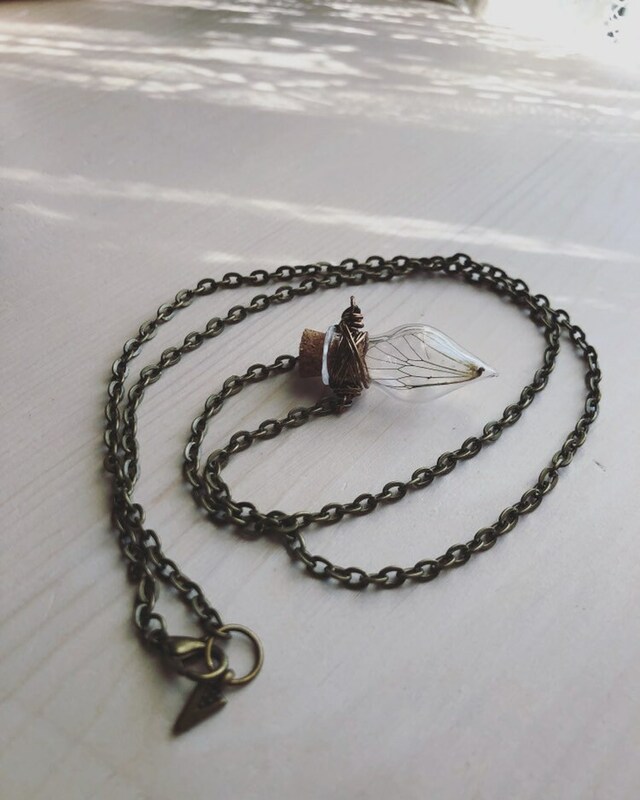 The wing still holds a lot of magic within it and if you wish hard enough the fairy who once owned the wing will come and grant your wishes! You just have to believe. Wing sample differs slightly from pictures due to them being naturally sourced but each wing is simply magical! 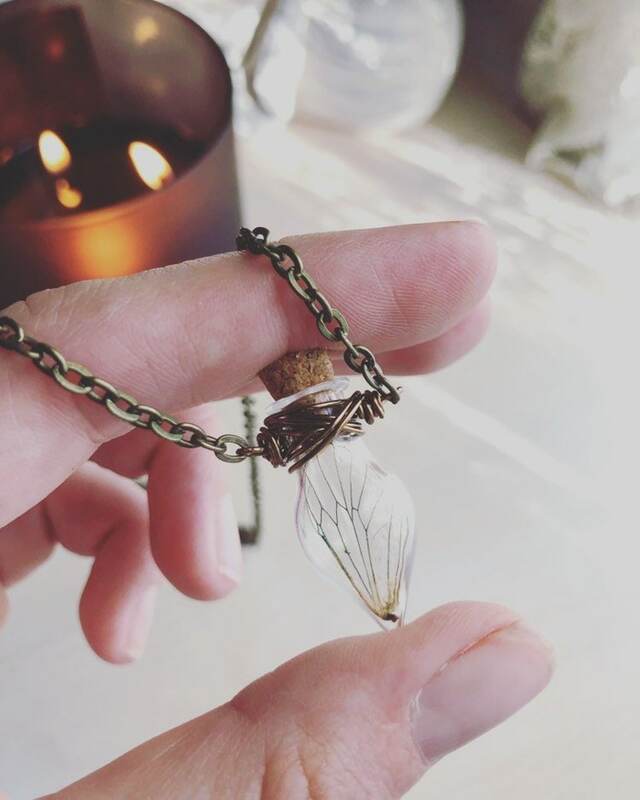 A real small cicada wing which was naturally found and stored inside a corked glass charm bottle. and Choose your type of chain.